Last week, we shared the rather exciting news that Hollow Knight will be released in a special Collector's Edition with all sorts of goodies thrown in. Exclusive to North American site, Fangamer, the bundle suggested that a Europe-specific release may well have been out of the question, but a new listing on Amazon says otherwise. Amazon Spain has a physical copy of the game available to pre-order as we speak, available for £29.99. Interestingly, the product image still features Fangamer's logo at the bottom of the game's case, but also has Europe's PEGI rating system as opposed to North America's ESRB; if you're desperate for European box art, this could well be your answer. It's worth noting that this release won't come with all the fancy extras included in the Fangamer edition, although it does have a manual, a Hallownest map, and a reversible cover. If you're not fussed about having the European box art, Fangamer does actually ship worldwide, so there's nothing really stopping you from simply importing a copy anyway. Will you be picking up either of these physical Hollow Knight releases? Are you a big fan of the game? Tell us below. That's total !"#¤... I just bought the US version! I'm tired of having to act quick on these limited runs, just to get ! "#¤ afterwards. Even paying for the same game multiple times over and over, when it's digital only to begin with. I can't help but feel raped. It shouldn't be like this! @Aneira Can't you cancel it? I guess you only pre-ordered it. But will they have the talking grub plushie? @Aneira So did I. But hey I've got a US account just for DLC etc. But I did also buy loads of the FanGamer extras including the Special Edition and plushies. @zufa86 FanGamer don't allow cancelling. Agreed, there are a lot of European collectors who would've opted for an EU release that avoids international shipping charges. This should have been announced simultaneously with the US Fangamer release. Fangamer pre-orders cannot be cancelled once placed. It's further problematic because their international shipping charges are always very expensive. After 90 hours, 102% completion and just a couple of tasks to do and bosses to defeat I can safely say Hollow Knight is one of the best games I've ever played. I wasn't sure of it at first, played around 20 hours and abandoned for ages but I went back to it, started over again and for the last few weeks I've been obsessed with it. It just keeps getting better and better the more you progress. Incredible stuff! I cannot wait for Silksong! Also don't forget the game comes on in end of may. Might work out cheaper to buy from US after the end dates. @RupeeClock thats strange, they only billed me 5 dollars shipping to EU. Not that expensive. Or do they charge more for customs? > Most of our shipping methods internationally are considered to be shipped "DDU", which means we do not pay customs or duties and you may be charged this to receive your order. (Royal Mail in the UK is particularly bad, as they sometimes add customs fees and an £11 handling fee on top of the VAT!) You have to pay these fees when you get your package, so please be aware of your country’s tax policy before you order. Also, we cannot mark shipments as gifts. Fangamer is not responsible for any additional taxes, fees, logistics, or other additional charges required by your local government or delivery service to receive your package. @OorWullie Exactly the same here! Played 11 hours when it first came out in June 2018 (on Switch). Got as far as beating the Soul Master in Soul Sanctum and after that had no idea where to go or what to do... Finally started again about two weeks ago, now clocked 36 hours, 100% last night and also defeated the Hollow Knight to get the second ending. Going to get the true ending tonight hopefully, then start on the Godmaster DLC. My number 1 game of all time, and that's saying something considering how much I loved BOTW! I wasn't asking for more, and the price is right and at last it seems that it will be sold in normal stores so we don't have to pay high shipping costs to specific and exclusive sellers, plus we can use coupons if we have them, but... After they initially announced that the physical release had been canceled I ended up buying it digital and very cheap for Xbox One. Too late for me. @verminio well thats a but of a downer here. Lets see how it turns out. Now, if only I didn't snatched the NA version on Fangamer a couple of days ago. Damn. @Scottwood101 I'm impressed you've got to 100% in just 36 hours, it took me more than double that. I've still to beat the final Grimm Troupe boss and I believe there's a Dream boss I missed somewhere, perhaps a Whispering Root too. Once I complete those I'm going to slay The Hollow Knight and The Radiance which should be at around 106%. I think I'll be satisfied with leaving it at that.After my ordeal with the White Palace, I'm not sure I want to tackle the Path of Pain. @OorWullie I’ve been on the fence but your post may have just convinced me to get it. I’m getting a bit tired of my habit of giving up about 40% into games , I’m looking at owl boy and a bunch of others. I just pre order it, thanks! @KIRO You should have picked Owlboy up a few weeks ago when it was half off ( eshop). Just finished that one recently and it was good. Hollow Knight... where to begin... lol. I’m about 25 hours in and I’ve been wondering if I missed something at the beginning because I’m not sure what the story is. The platforming, visuals, music, and mechanics are top notch though- definitely worth the price of the game. But man this game is difficult. @KIRO I'm the same, I rarely finish my games. If I get stuck I end up just abandoning them and moving onto something else. I've been like that all my days. However, these past few months I've actually been making a point of working through my backlog and getting as much out of the game as I can, as long as I'm having fun anyway. 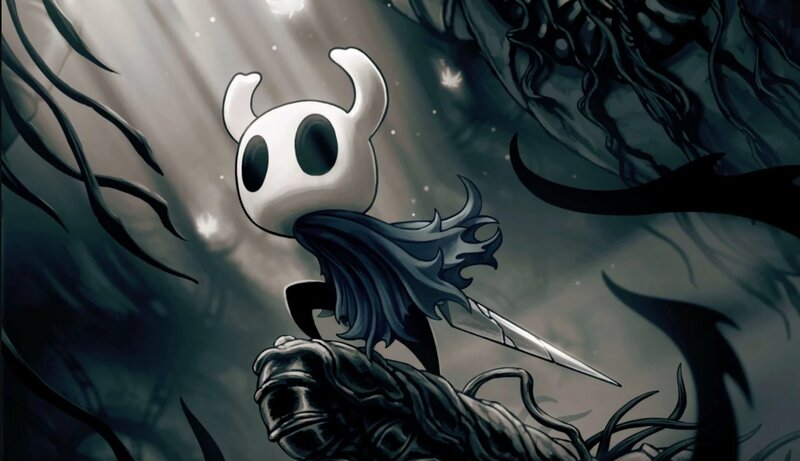 Hollow Knight is a daunting beast early on it can seem overly challenging at times and the world is enormous but it all starts to come together. There's so much stuff to do it's never boring and the world is so fun to explore, you want to explore every inch and unlock every secret. It looks and sounds amazing too. Can't recommend it enough, an all time classic. Owlboy is good too but it's not on the same level as Hollow Knight. That is another game I got to a certain point and gave up. 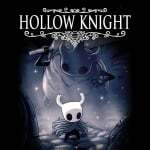 @Mamabear I'd recommend the Hollow Knight Wiki for giving you little pointers on what to do. There are some parts that would be very hard to figure out on your own, not without a lot of aimless wandering anyway which can get frustrating. The biggest tip I can give is whenever you enter a new area, hunt down the map maker first, then study the map and look for little openings that hint at secret areas. They almost always lead to good stuff and will open the world up more. Leave custom map markers too at any interesting points you discover but can't get to yet. Once you have a lot of the map and shortcuts opened up and have a few new moves you'll be zipping around the map with ease..
@OorWullie I got to the end on my own in 31 hours, 86% completion for the basic ending. After that I used a guide on how to get the Void Heart, watched a speed runner do the White Palace, used a guide to get the last 4-5 charms etc. So I've cheated my way round for the last few hours but I've still loved every moment of it. I've not beat Grimm yet, he's the most ridiculous boss I've ever come across! So fast! Need to do him though for the last notch! @OorWullie Owlboy is another classic! 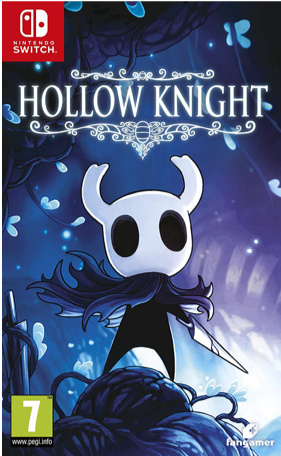 Agreed, not on the same level as Hollow Knight but the sprite work and lovable characters were enough to keep me going. However some segments were the some of the most memorable I've ever had in platforming. Going to give Iconoclasts a go next as apparently it has a similar feel. Got Guacamelee to try next though as I picked it up in a sale, and if you like metroidvanias I'd recommend Sundered. Amazing art direction, satisfying story, excellent combat and upgrades, 15 hours to complete, 3 different endings each with different bosses etc. Completed it twice for two endings and each play through was vastly different because the powerups you earn on the way are completely different if you want to go for the different endings. £5.09 on the Russian eshop, £16 over here! Curious, I seem to recall seeing a notice that pre-order items cannot be cancelled whilst placing the order? Already dropped the cash for the Fangamer collector’s edition though. @Scottwood101 Iconoclasts is on my wishlist, I'll pick it up in a future sale. In the last few months I've played a lot of Dead Cells,The Messenger, Steamworld Dig 2 and now Hollow Knight. I think I need a little break from Metroidvania's.I said the same before restarting Hollow Knight though, 90 hours later I'm saying the same. If Silksong happened to release next week I don't think I could resist. Guacamelee is superb, love that game. I played through it twice on Wii U and enjoyed the 2nd run even more than the first. I've yet to play the sequel though. Once I've had my Metroidvania break I'll tackle it, along with Iconoclasts. Sundered I'm going to look into I've seen the trailer for it. Cheers for the tip about the Russian Eshop price. Okay, so it was indeed possible to cancel the pre-order at fangamer. What if this is a trap? It's strange the fangamer logo is present on this EU cover. Maybe it's a mistake and it's not re-leased at all.... like the EU release of Penguin Wars that never happened. @terry93 you mean claim from Credit Card or Paypal? To all who have pre-orderd from FanGamer and want cancel as looking to get the EU versions. If you need to cancel or change a pre-order, please send an email to [email protected] as soon as possible." @GauBan I was able to cancel my Fangamer preorder. Just sent them an email and they took care of it day of. @jwfurness the change seems to be relatively ne win the last couple of years or so, last time I use them they have a strict policy about not being able to cancell orders. But tbh I'm still get mine from them. Special edition with plushes etc. Pls the collectors edition too. 30 dollars for shipping to Europe is insane.